Scissors and Shears at the Knife Center. We all use scissor or shears daily or often, but to get the most out of your scissors you need the right pair for the right task. Here is a great index page to make it easier for you to find the pair of scissors to fit your job. Scissors have symmetrical, equally sized finger holes and are generally under 6" in blade length, while shears have one smaller finger hole and one larger finger hole and are more than 6" in blade length. The models you need in your kitchen designed for food preparation. Shears designed to cut birds easily and/or for use in the great outdoors, these will do some tough work. Top quality scissors with stronger blades for cutting hair. These cuticle scissors are perfect for detailed nail cutting work. Some of these are specially designed for trimming the nails of infants. Moustache trimmers are thin and straight for precision, which is vital when you want your moustache to look just right. The design of these scissors and shears lends them extra strength, to cut through stacks of material. Designed to cut wire, insulation materials, cable ties and more. Many of these include notches for wire cutting. 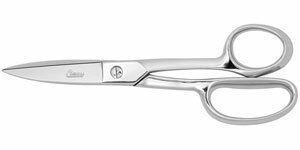 These scissors and shears feature a flat "duckbill" top blade to prevent gauging. These scissors fold up for easy portability. Great for your key chain or suitcase! These wire cutters have hardened edges for easily cutting through wire. Many of these are spring-loaded for ease of use. 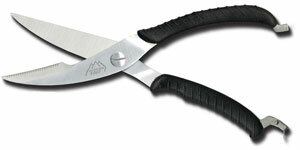 We carry trimming scissors and shears in all shapes and sizes, fit for any trimming task you might have. These pattern shears are designed for detail work, with short blades that keep their full cutting power all the way to the tips. 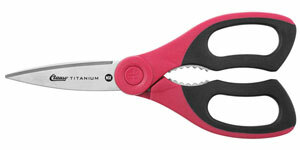 These scissors have a bend at the handle, allowing the blade to hug the work table or the next layer of material. 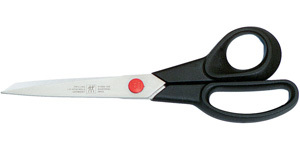 Typical straight scissors and shears, with no bend. These are good for most tasks. These offset scissors and shears are good for cutting and trimming in hard to reach places. 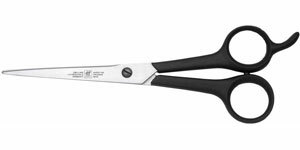 These spring-assisted scissors and shears are designed to help reduce user fatigue during prolonged cutting tasks. These scissors and shears contain an adjustable screw that can be used to adjust or tune them.